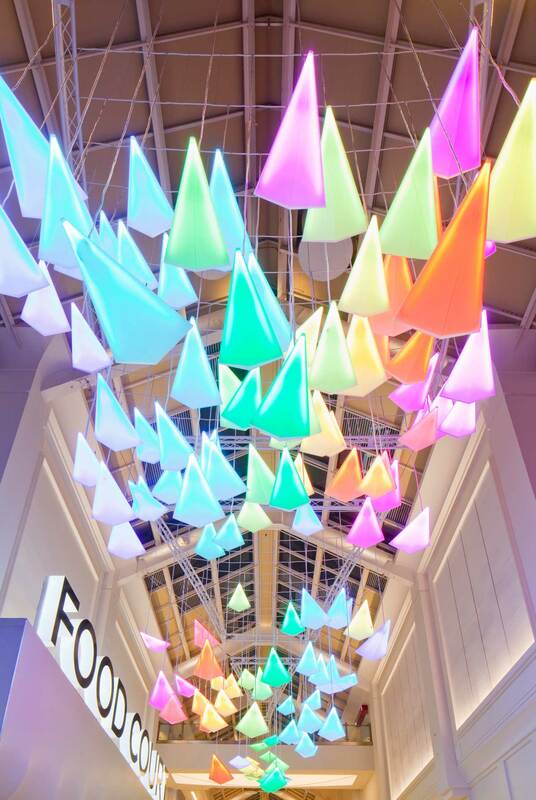 The newly refurbished County Mall in Crawley required an eye-catching and beautiful light installation to hang in its lofty atrium space. The purpose was purely to delight shoppers – which allowed us to let our imaginations loose on a variety of concepts and possibilities. 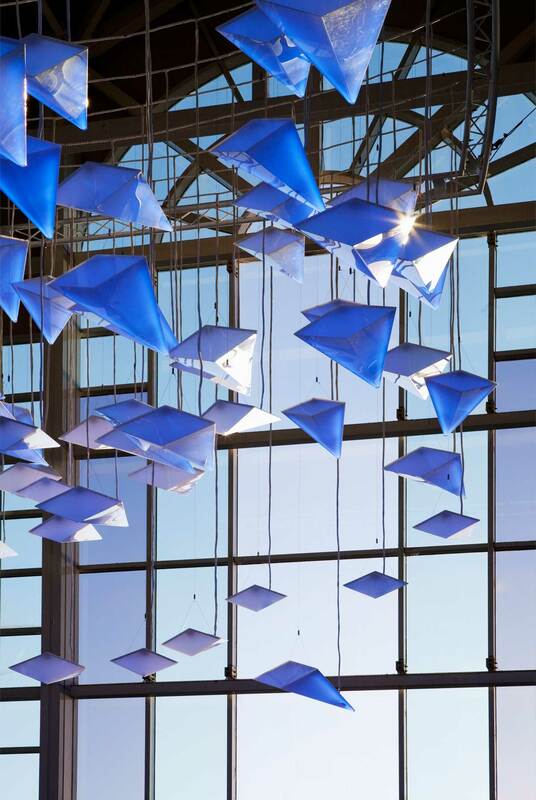 Our dynamic showpiece takes the form of a “flock of birds” soaring through the atrium. 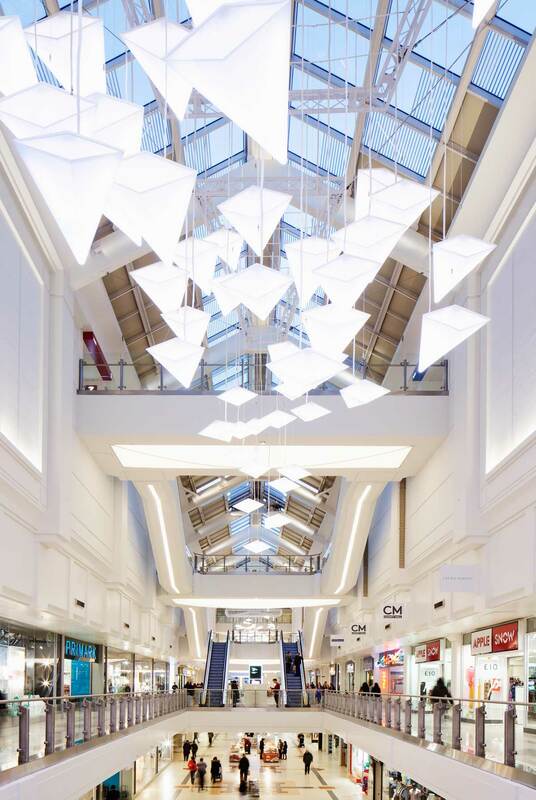 The birds are made from flame-polished and thermoformed acrylic, and they’re welded to a bespoke aluminium truss system that hangs 25 metres above ground level. 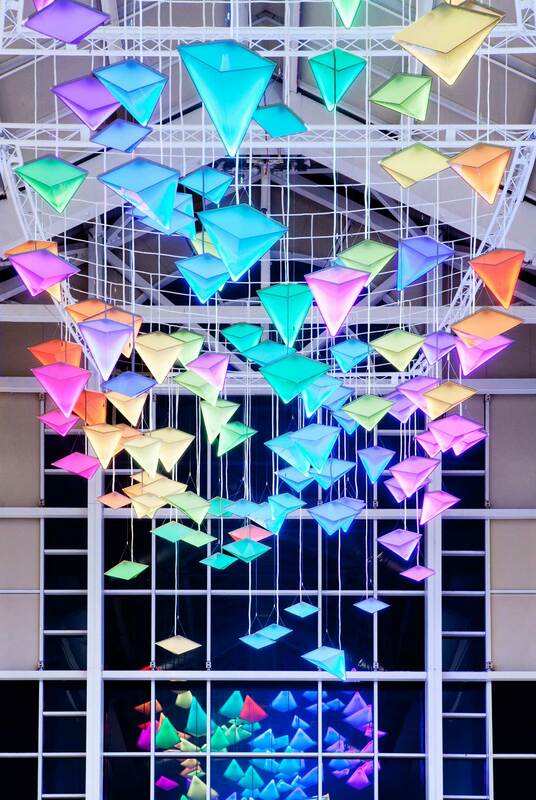 The installation pays homage to Crawley’s historic link with the aviation industry, and uses colour-changing LEDs throughout the length of the 125-metre sculpture to add a sense of movement and flight.